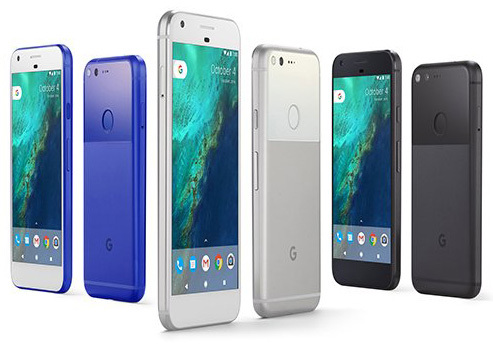 Google only recently confirmed for the first time that a Pixel 2 and Pixel XL 2 release is set for some point in 2017, but it would appear that at least one of the two devices has begun to show up during its testing phase. Leaks related to the new Pixel phones have been extremely hard to come by, particularly if you want those leaks to have anything about them that makes you think they may be true. Now, though, we think we know what the codenames are for the two devices. The leaks have been passed information from an unnamed source, with that information now corroborated by the appearance of at least one codename in the Android Open Source Project gerrit. “Walleye” is the name that has popped up in the logs for the project, with Android Police believing that this is the codename for the smaller of the two new Pixel devices. The larger variant, which is believed to be called “Muskie,” has yet to appear in the logs, although that is not uncommon – last year’s Pixel XL never showed up either. So, what can we read from these two semi-confirmed codenames? Likely, nothing at all. If you want to do a bit tea leaf reading on the names (which I don’t generally advise), walleyes and muskies are both North American freshwater fish, with muskies being a considerably larger animal. Anything beyond that is probably not worth the mental gymnastics. With no real idea of release schedules and absolutely no idea as to what the specifications of the unannounced devices will be, we now have little option but to wait for more reliable leaks to appear. Now that we know the codenames for both new Pixel phones though, it may make it a little easier to spot leaks moving forward. ..another under powered hunk of plastic.